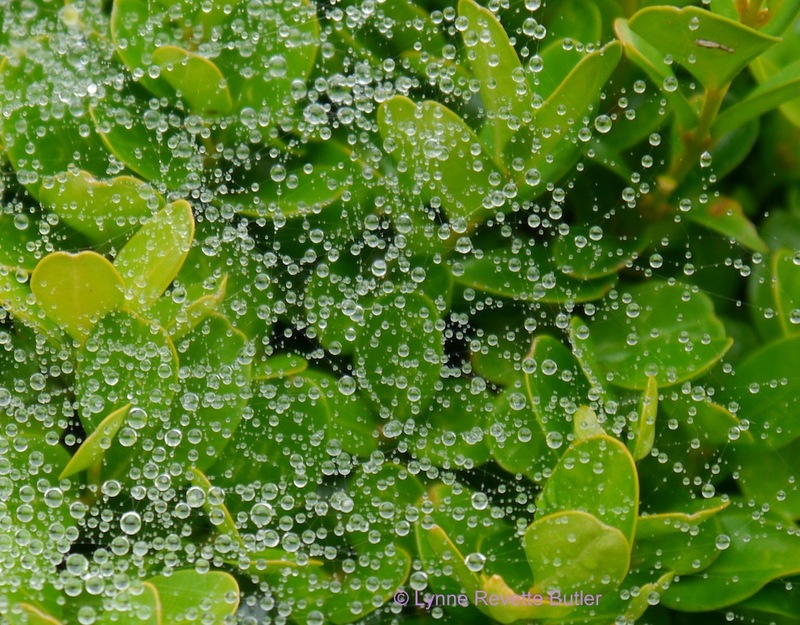 This entry was posted in Environment, Gardening and tagged photography, raindrops, spider's web. Bookmark the permalink. ← The Garden at Oxleaze Farm, Filkins. That is a cool shot, Lynne! I guess the spider took cover from the rain. The clipped box provides great cover for lots of creatures, many of which fly out and bite me while I am clipping it! I believe the spider’s web is incredibly strong…and beautiful! I have taken lots of shots of webs after frost but this was the first time I had tried one with raindrops. I agree that the spider’s web is a beautiful construction even though it does ensnare other insects. This is such a beautiful photo. It reminds me that spiders aren’t entirely evil. If webs just spontaneously appeared and captured bugs we could get rid of spiders altogether! Glad you like the photo Cindy. I wish all the webs in my dusty old farmhouse would spontaneously disappear. I’m guessing that a future vision of ants versus the spider-man is still troubling you! !